As I type away on my post this week I am both saddened that I have not seen Captain America 2 yet and happy that C2E2 is a little over one week away! If all goes according to plan I will be in attendance at this fine event on both Saturday and Sunday. It has been some time since my last Con appearance and I am looking forward to returning to the chaos. The Auteur #2 - Wow. This is quickly becoming one of my favorite books, but it is very difficult to recommend to just anyone. This book is absolutely bonkers and I love it. If you find buckets of gore and crass jokes offensive, this is not the book you are looking for. Beneath the blood and guts, The Auteur is a smart and refreshing comic unlike any I have read. 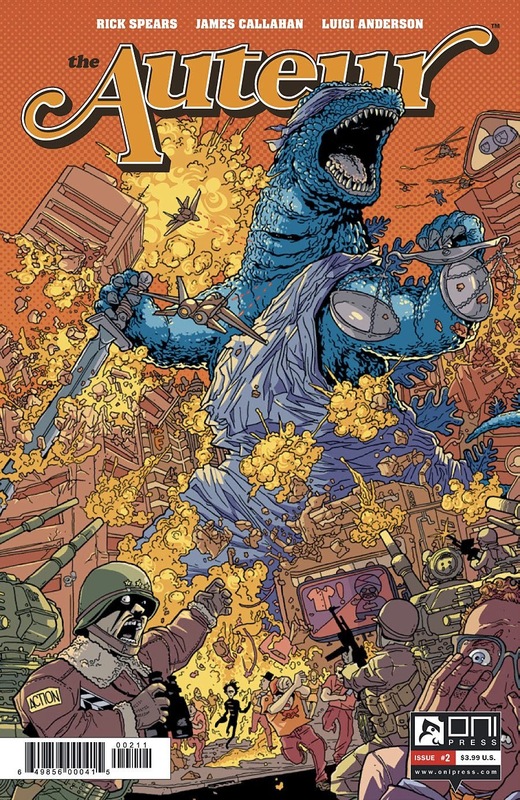 Issue #2 demonstrates to what lengths Nathan T. Rex will go to ensure his next film is a success. Not satisfied with your run of the mill horror, Rex plans on using Darwin, a notorious serial killer, as the murder expert on his film. Packed with genuinely funny humor and a shockingly original plot line, The Auteur may be for you. The VHS playing scene in the court room was one of the funniest gags I have ever read in a comic book. Well played Rick Spears and Oni. Can't wait for issue #3. 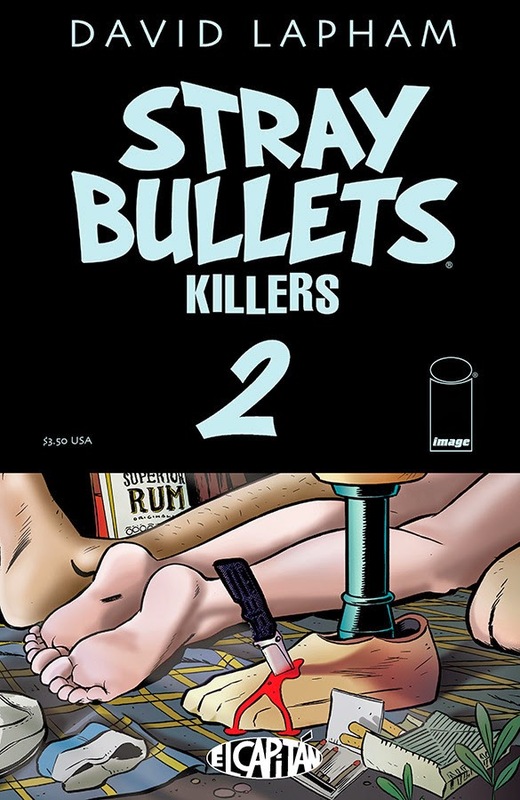 Stray Bullets: Killers #2 - The Stray Bullets comics have a way of sucking you in and connecting you with seemingly normal characters at a rapid pace. Each issue stands on its own, but the depth of the world that David Lapham creates is better appreciated if you soak it all in. Stray Bullets reminds us all that we are not perfect and that everyone has skeletons in the closet, but that's not necessarily a bad thing. Deep down, despite our flaws, there are good people who make poor choices. Beautiful book that should make its way to your pull list. Sinestro #1 - I will admit that I am not well versed in all that is Green Latern, but with Cullen Bunn penning the new Sinestro title I had to pick it up. Sinestro is pulled from his self-inflicted isolation by Lyssa Drak who urges him to take control over the Sinestro Corps once again. With my lack of knowledge in the lore, I would guess that there were many references that were over my head. I still found the story compelling and will return for issue #2. I am guessing it might be wise to see if my library has some collected volumes of Geoff Johns. 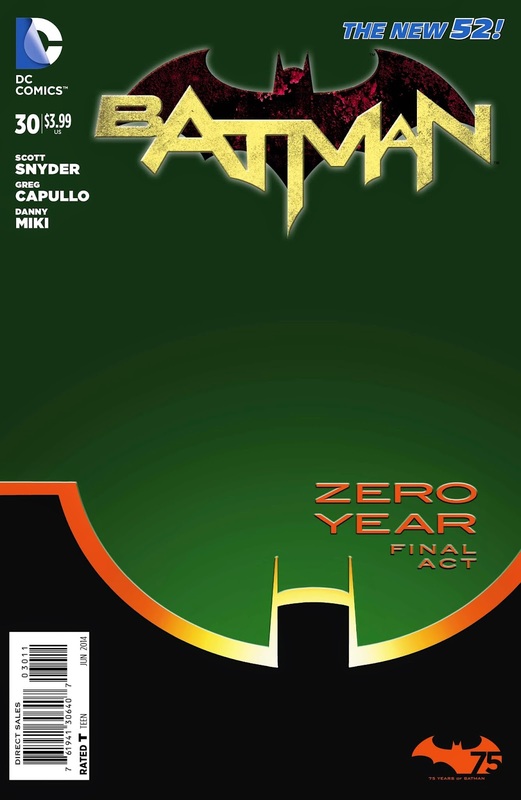 Batman #30 - The final act of "Zero Year" begins with issue and it looks to be a doozy. I never considered The Riddler to be much of a formidable foe for Batman, but with what Scott Snyder has come up with I have a new found respect for Mr. Nygma. The Riddler has transformed Gotham into a apocalyptic hellscape with seemingly no escape. Through sheer terror, he has broken the will of the residents and it is going to take some fancy gadgets and planning to save Gotham. Something tells me Batman will be up for the task. Batman Eternal #2 - It is a good thing this title is coming out weekly, because things are moving at a rapid pace in Gotham. With an all-star crew behind this title, I hope it maintains this momentum moving forward. The villain reveal at the end of this issue was glorious and I am very excited where this book seems to be headed.